Staying Connected to your home and family has never been so simple. 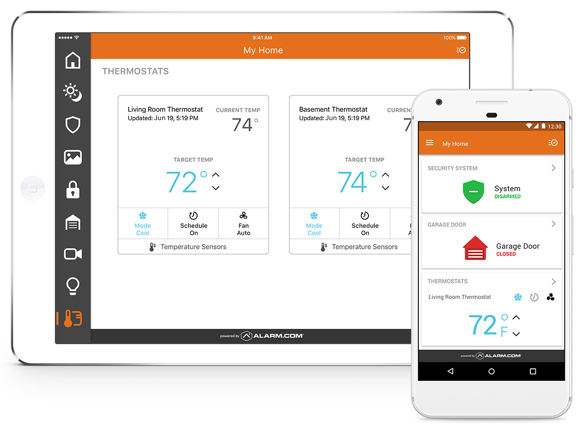 Managing your home with an enabled app allows us to easily connect your smart devices to a single interface. Our top-rated apps allow for complete integration of your security system with popular smart devices by Google, Apple, and Amazon providing a dependable, easy and smart experience the whole family can operate. Easily access your system from an app-enabled smartphone or tablet. Access to your smart device interface allows you to secure your home, dim the lights, receive important alerts and watch video live at the touch of a finger. Live HD video streaming can be viewed from any TV in your home. Apple TV and Amazon Fire TV enable you to view what is happening in your home at any time. 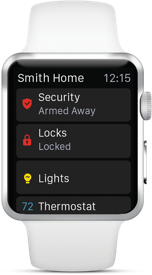 The Apple Watch is another smart accessory that offers remote access to your garage door, security monitoring, video monitoring, lights and more. Wearable technology that makes your smart system reachable from anywhere. Speak and your Smart system goes to work for you. 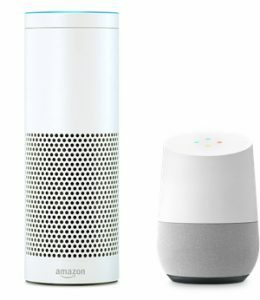 Voice control capability through Google Home or Amazon Alexa allows you the freedom to change the temperature, lock the doors, or turn off or dim the lights throughout your home. You don’t have to move a muscle.